With screaming fans and lots of blue and gold it would almost seem as if it was a sporting event. 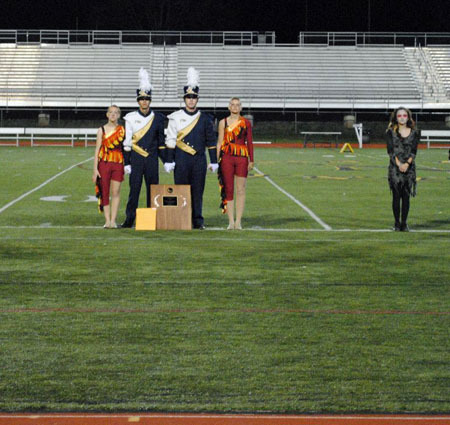 But fans came out to support the Penn Manor Marching Unit during their championship performance and congratulate them for their five first place wins, one second and third at championships. All in all it it was a priceless season for the PMMU. 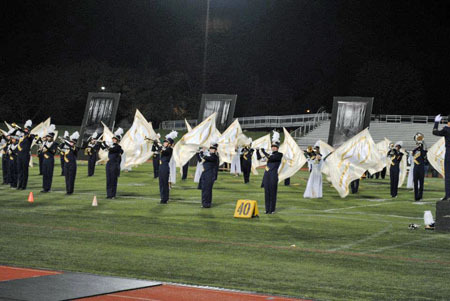 They went up against 18 other bands, on their “home” field of Chryst at Millersvilles Biemster stadium for the season ending championships. 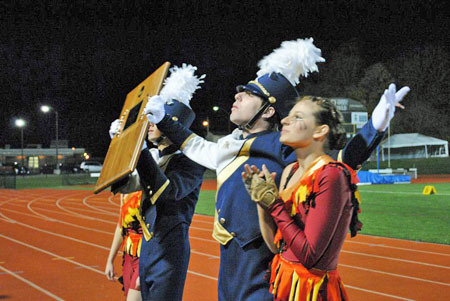 “Championships was a very successful day even though a lot of people were expecting first place, third place is still awesome,” said drum major Tim Deubler, about their Nov. 6 competition performance. 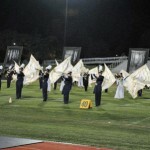 Their show, “Insurrection” was a three-part performance that told the story of serenity, war, and regret. 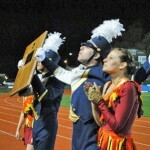 PMMU placed third with a score of 93.15, with six tenths of a point separating them from second place. “It’s frustrating and feels good at the same time,” said Mumma. 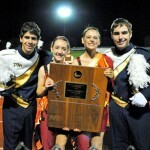 “It’s better than getting third, and totally being blown out of the water by the bands that beat you. It’s very close, which is good but on the same token you go back and say ‘aw man where could we have picked up those six tenths worth of points,'” said Mumma. 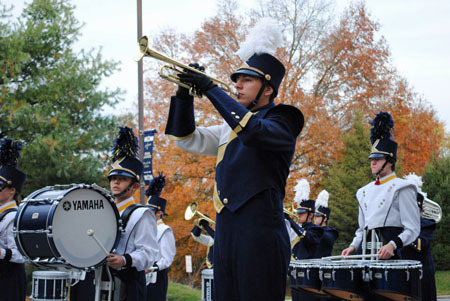 PMMU competes in the Liberty division which is made up of 18 bands in the Cavalcade of the Bands Association. 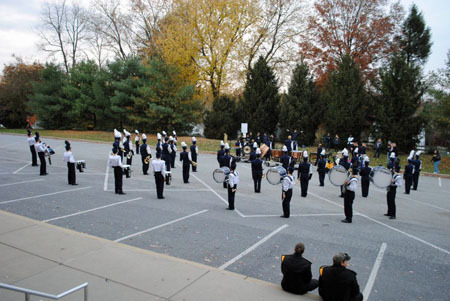 But for championships they competed in the “Liberty Open” division along with nine other bands. “The reason they separate them is they take the best of each of those classes and they put them in the top which is called “open,” and the bottom group is called “A.” And then there are groups who don’t even make it into that,” said Mumma. “It’s just a way of separating the really good bands from the okay bands as far as their skill level so that there are different levels for championships,” said Mumma. 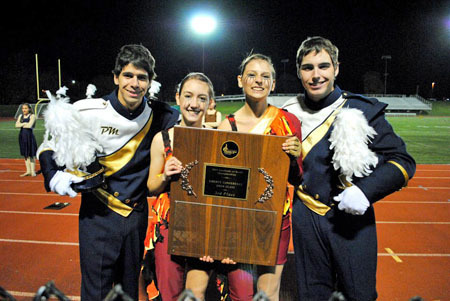 This year Championships were held at Millersville, in years past championships had been held at Hershey stadium. Rarely has a Championships been held at Millersville. “It was fabulous being here being at home. There were a lot of fans here, more so then we’ve had a Hershey, which was really fun. The fact that it was our own field made us feel more comfortable,” commented Mumma. Even without the “Comet Crazies,” family, students, alumni, and other PMMU supporters went wild as PMMU marched onto the field. 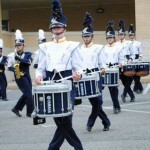 “We got tons of support it was crazy how loud everybody was when we came on (to the field),” said Helwig. 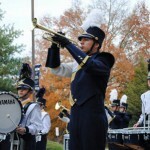 Although many think it’s all about wining, PMMU band members see it a different way. “We run a program here that our competitors, the people we compete against are ourselves,” said Mumma. Overall the season was a success for the unit. “I’m really proud of our third place win because it’s the first time we made the top three since 2000 and I’m really glad it’s one of my years that we started getting really good again,” said Helwig. “Definitely the best year, in all the years I’ve been involved which has been nine years we’ve never gotten higher then fourth, so third place is pretty darn good,” Deubler. “It’s a great way to finish the end of our season and our high school senior year” said seniors Kelly Herr and Kayla Laukhuff. 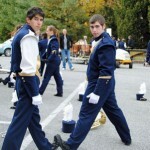 “Both on and off the field we had a great season,” said Herr. 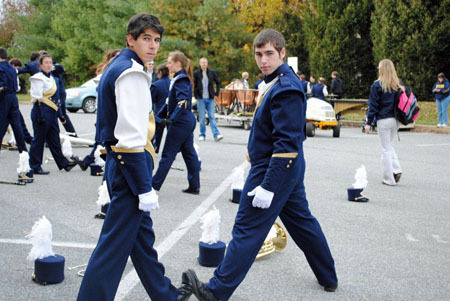 “Groups like Hatboro and Southern have been doing this for 20 years this is my eighth year here and were already making them nervous, so absolutely I have no doubt in my mind that we could be a championship band sooner than later,” said Mumma. 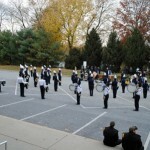 If you missed the show check it out here to see PMMUs performance at Manheim Township. The third place comes as a bittersweet end to the season, all can rest easy as the “war” is over. 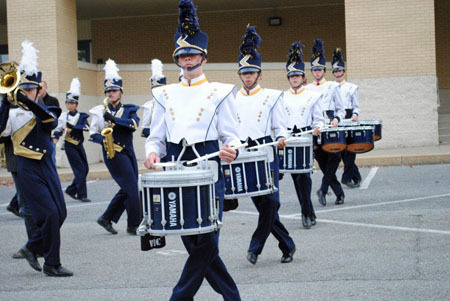 “I don’t know if we’ll be a liberty band next year, but if we are I’d say look out because we’ll be trying our hardest,” said Helwig. 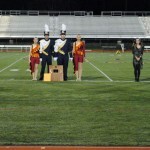 All photos courtesy of Kristen Deubler. I am glad to be a visitant of this arrant website!